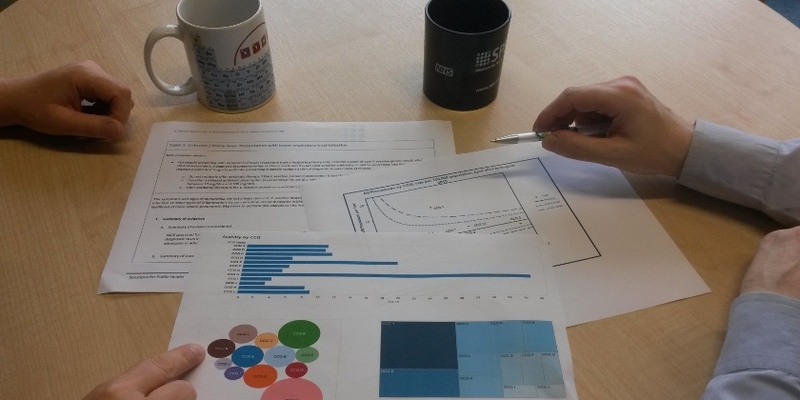 Health intelligence, bringing together the latest data, information and evidence to create informed analyses, is a key underpinning to decision making and to the work we carry out in SPH. We work closely with customers at all stages, from specification to the final reporting of results, including presenting findings back to clinicians and managers. Recently SPH has supported NHS England Clinical Effectiveness Team to develop a standardised framework for Clinical Reference Groups to use in activity planning and to measure outcome variation in Specialised Services. SPH deliverables included a framework, data maps, a reporting template and toolkit. SPH has also worked with a local authority to produce a new database to facilitate the collection of suicide data in a more consistent and complete way, and conducted audits using data resources such as these. With in-house resource, an extensive associate pool and partnership arrangements with our host Commissioning Support Unit (CSU), health intelligence is always offered as part of our support to commissioners. Our strong clinical expertise and insight ensures our health intelligence is relevant and informative for decision making purposes.